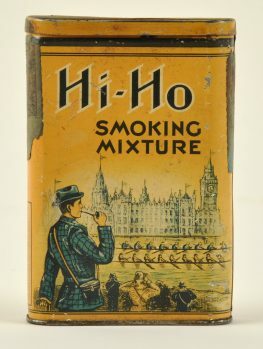 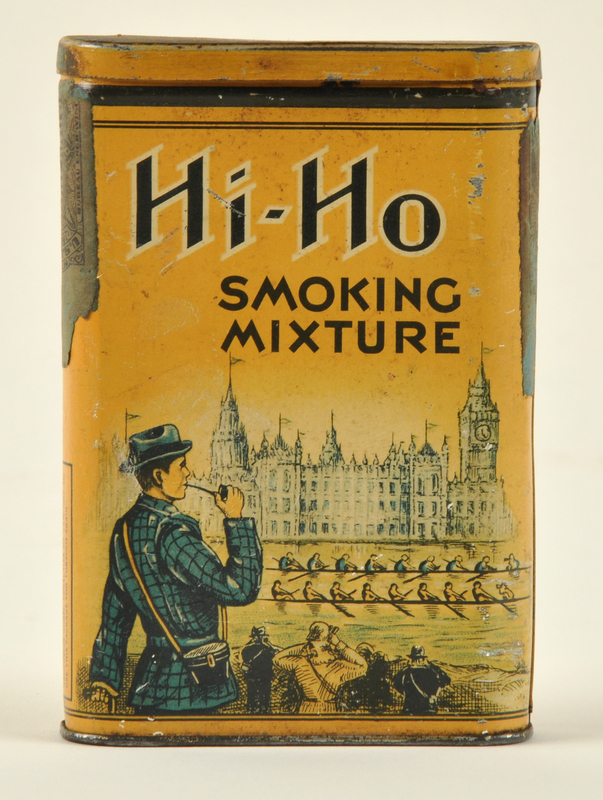 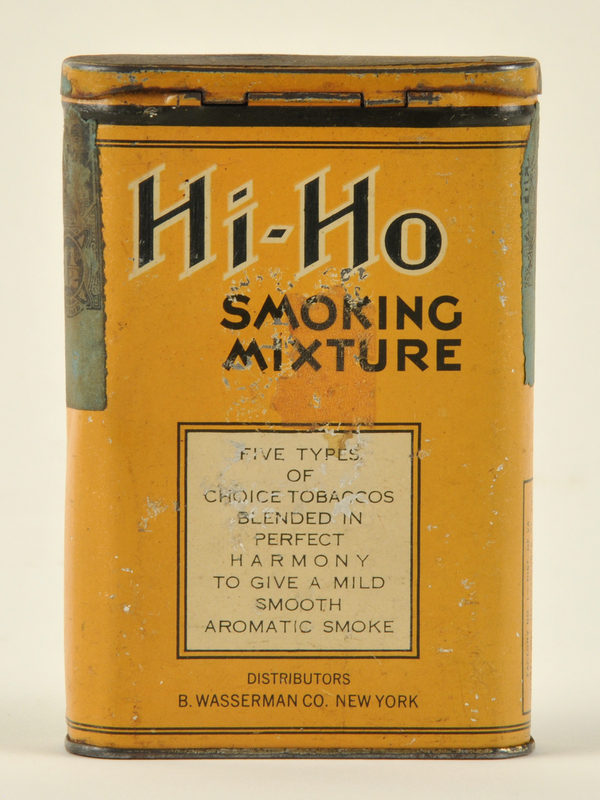 Rare vertical pocket tobacco tin for Hi-Ho Smoking mixture with excellent graphics of the British House of Parliament and Big Ben with rowers going down the River Thames while a sightseer looks on smoking a pipe. 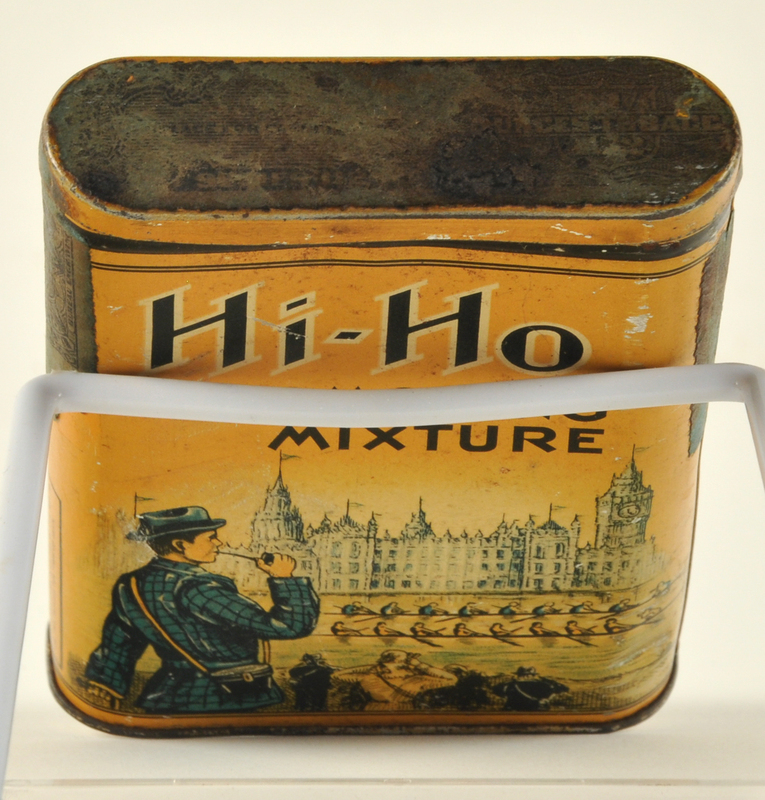 Tin has general light wear and soiling with a few scratches or scuffs to the litho design. 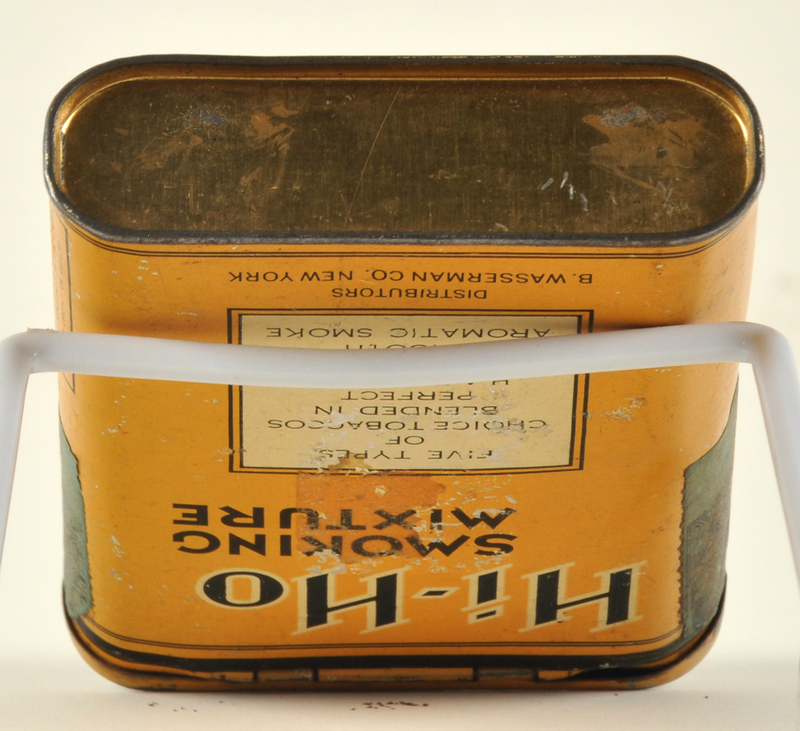 Back side has what looks like an area of tape residue. Still has most of its original 1-1/2 ounce tax stamp across the lid. Marked by back Distributors B. Wasserman Co. New York. 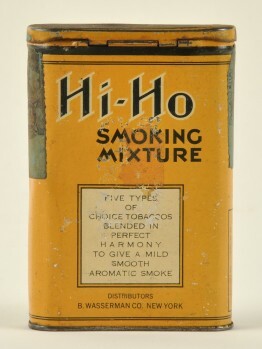 Size: 4.5" tall.